Ideal for crafting your own wooden shield, this Large Dome Shield Boss - 14 Gauge provides extra room for armored gloves. The steel bosses are spun and then polished to remove spinning marks, then pre drilled for your convenience. 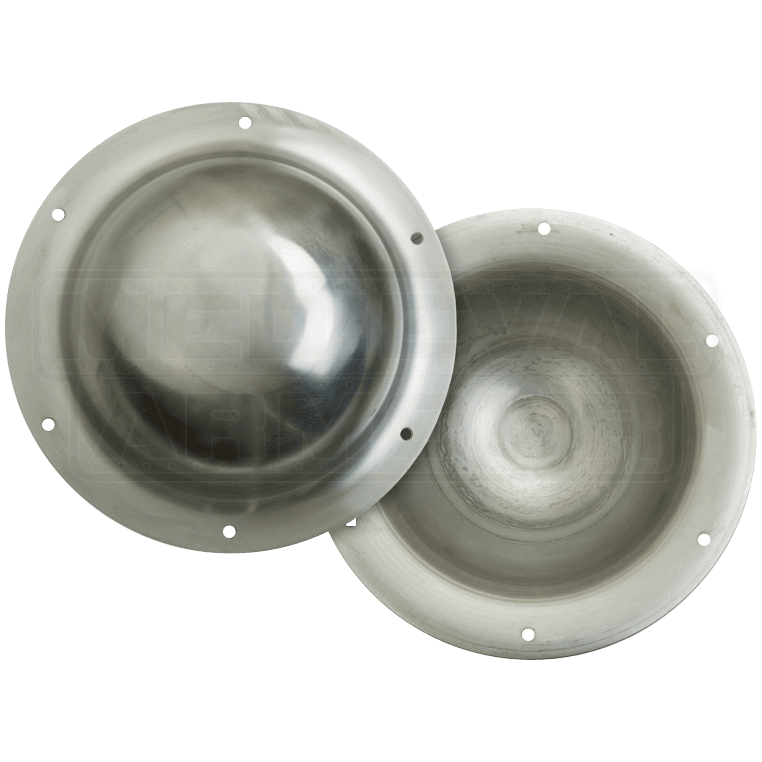 Originally designed to deflect blows from the center of round shields, bosses also provide a place to mount the shield grip. Shields with bosses were sometimes used offensively with a punching motion. Perfect for Viking and SCA reenactor combat, the Large Dome Shield Boss - 14 Gauge has an inner diameter of 6 3/8 inches and a depth of 3 inches.